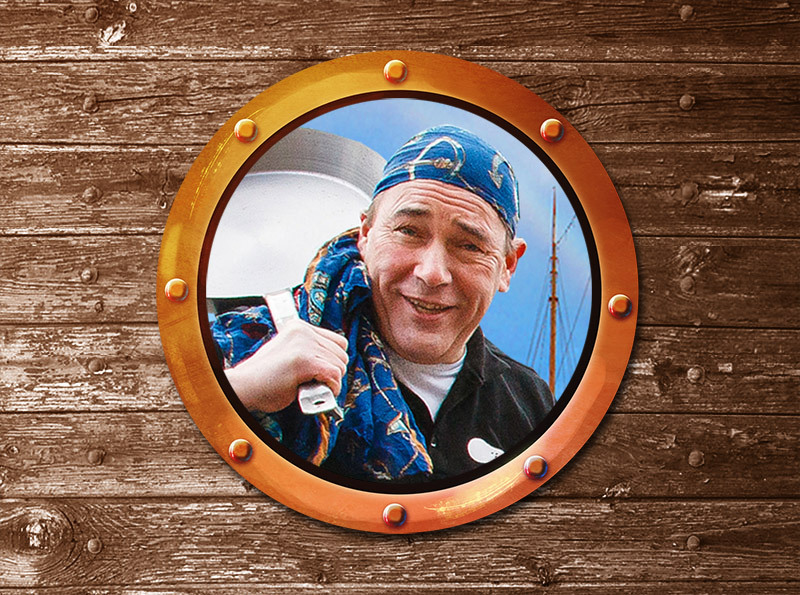 Capt'n Pancake and his ship's cooks create their mouth-watering pancakes in their own domain: the ship's open galley. 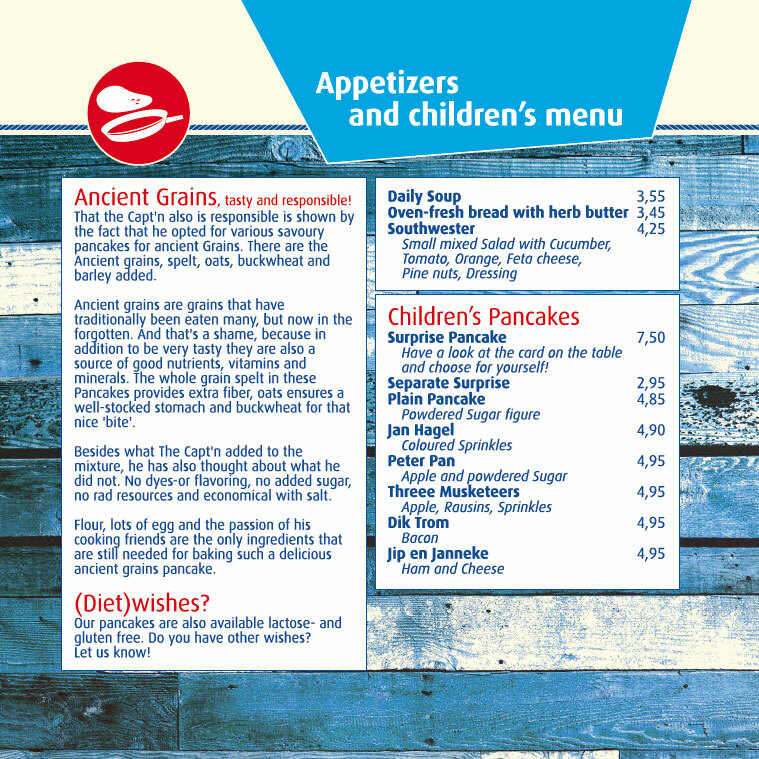 The delicious pancakes are cooked the old fashioned way, with a limitless range of ingredients. 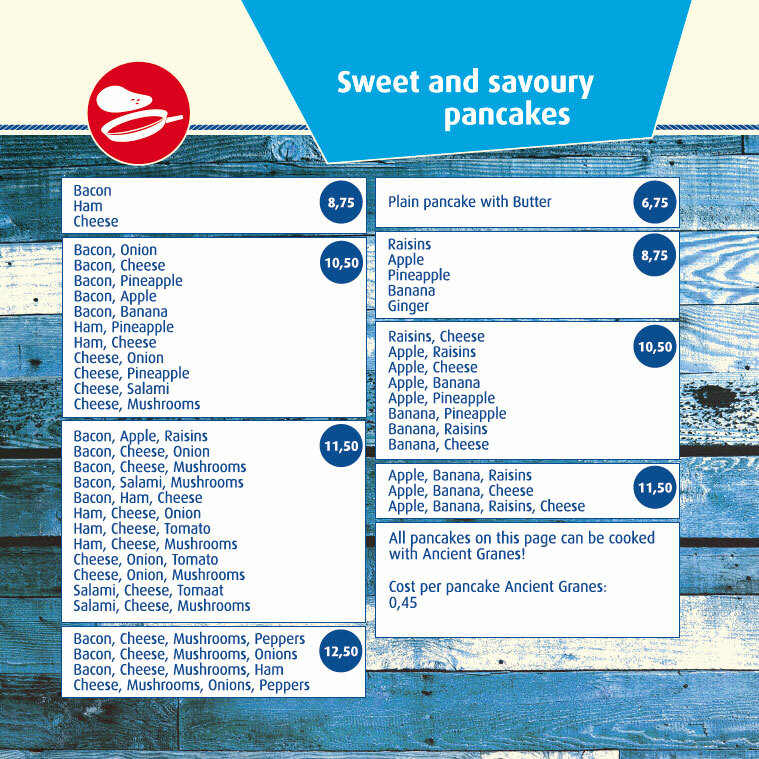 With a choice of over 120 different pancakes, there is bound to be one to tickle your particular taste buds. And remember, there's no age limit for pancakes, fortunately! The Capt'n is a conscientious operator, clearly demonstrated by his selection of truly original pancakes. These are pancakes with a powerful 'bite'. The delicious treats are full of nutritional added ingredients; ancient grains such as spelt, oats, buckwheat and barley. 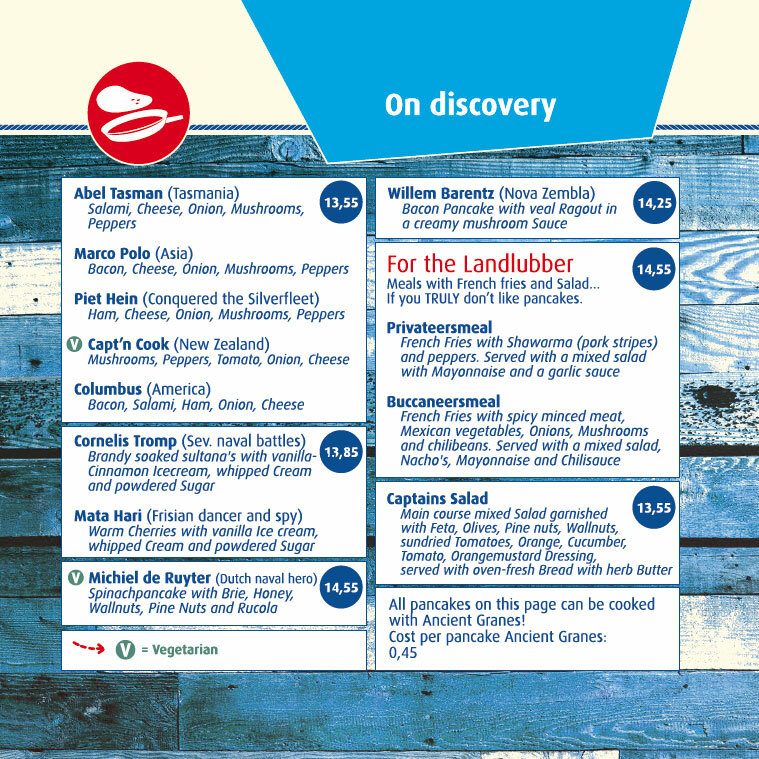 Along with what he actually puts in his original pancakes, the Capt'n also carefully considers what he avoids. There are no food colourings or artificial flavourings, no added sugar, no raising agents and only limited use of salt. 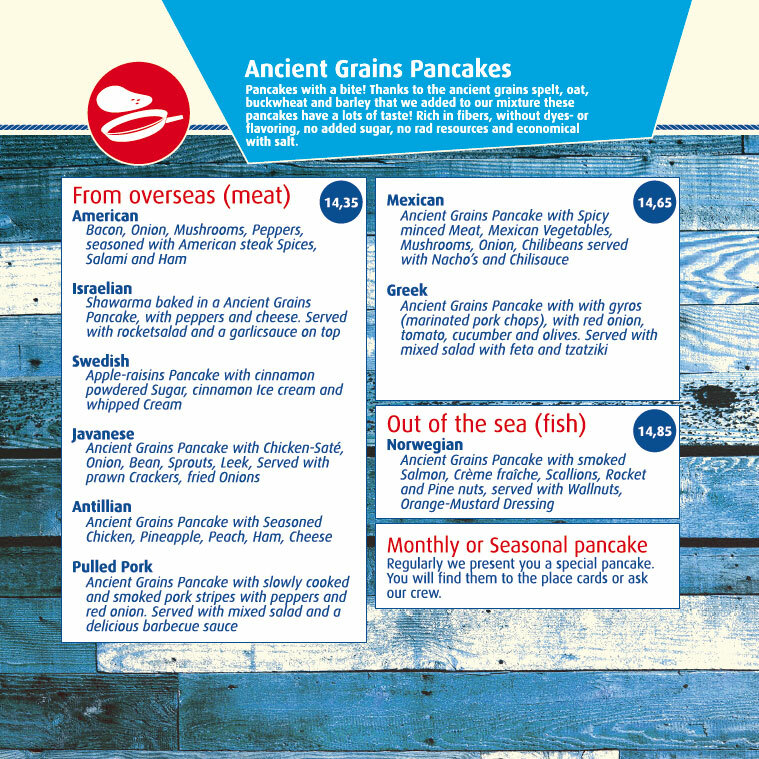 To cook one of these scrumptious original pancakes, the only other ingredients are milk, plenty of egg and the ship's cooks' passion. 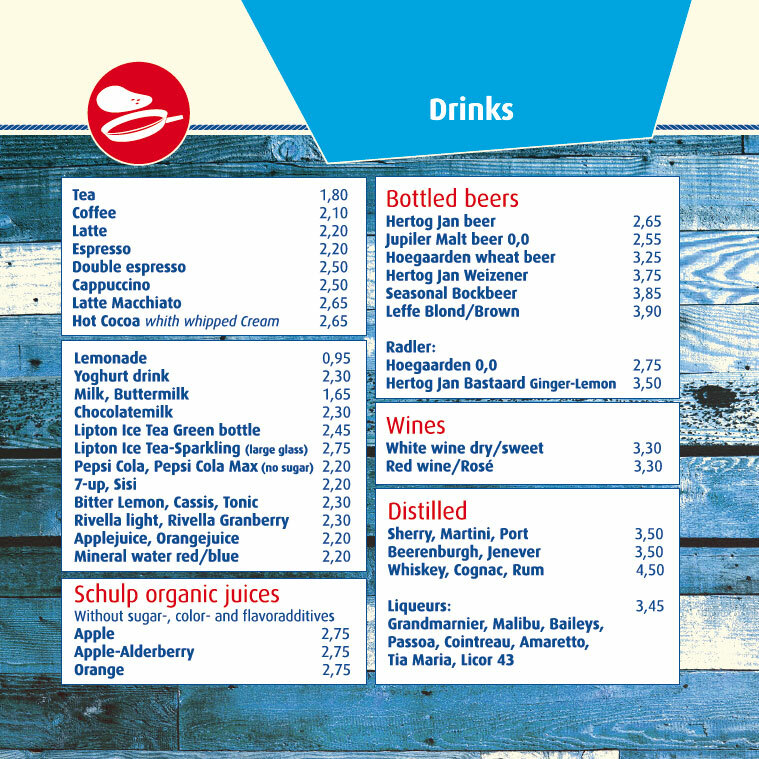 Food allergy or dietary requirements? Please let our ship's cooks know in advance!